Lesson 14.1. Just like a movie is a constantly moving figure, it can be broken into individual frames. I may not be able to find the area of this figure. 2 Just like a movie is a constantly moving figure, it can be broken into individual frames. I may not be able to find the area of this figure (created with the x-axis), but I can estimate it by breaking it into rectangles. 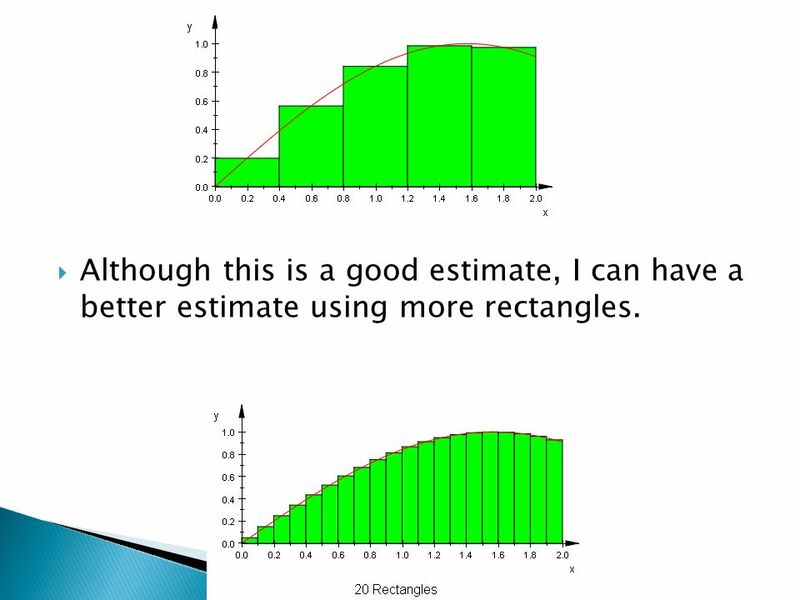 3 Although this is a good estimate, I can have a better estimate using more rectangles. 4 As x gets smaller, the my estimate gets more accurate. 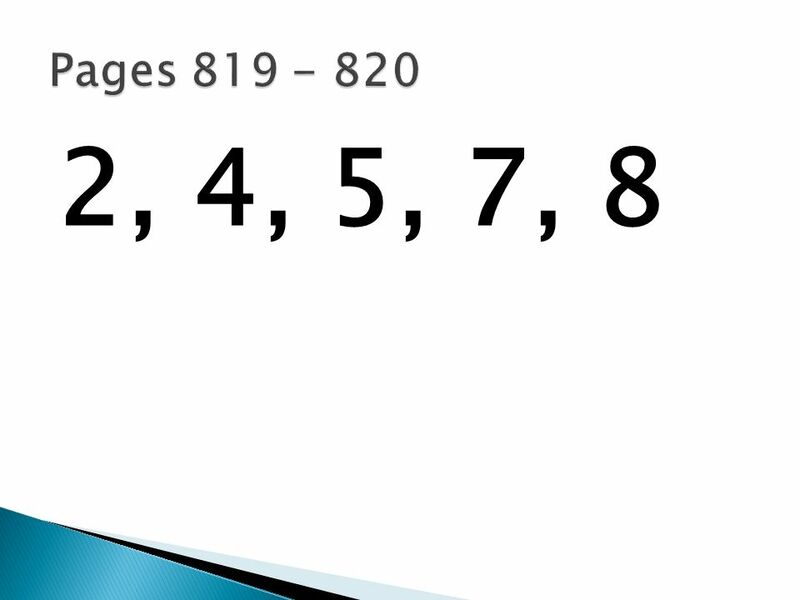 The integral is created by getting x (the length of each rectangle) as small as possible. 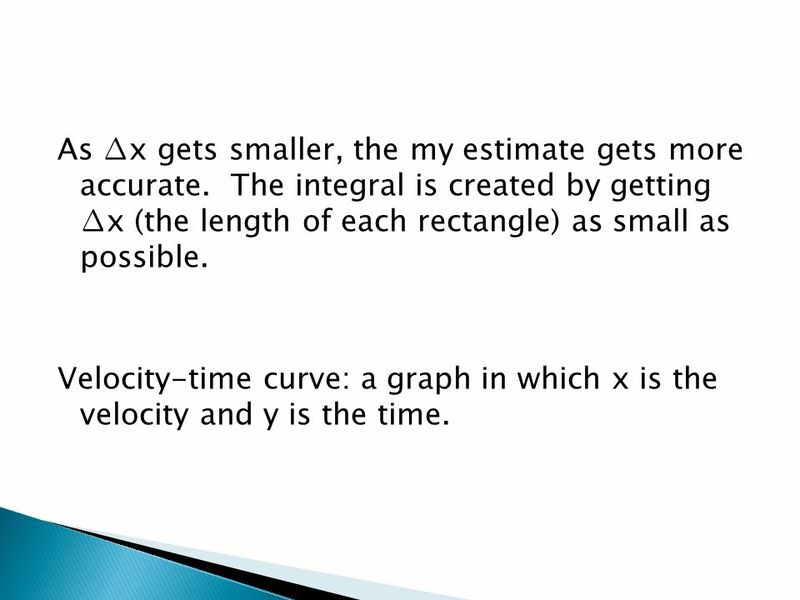 Velocity-time curve: a graph in which x is the velocity and y is the time. 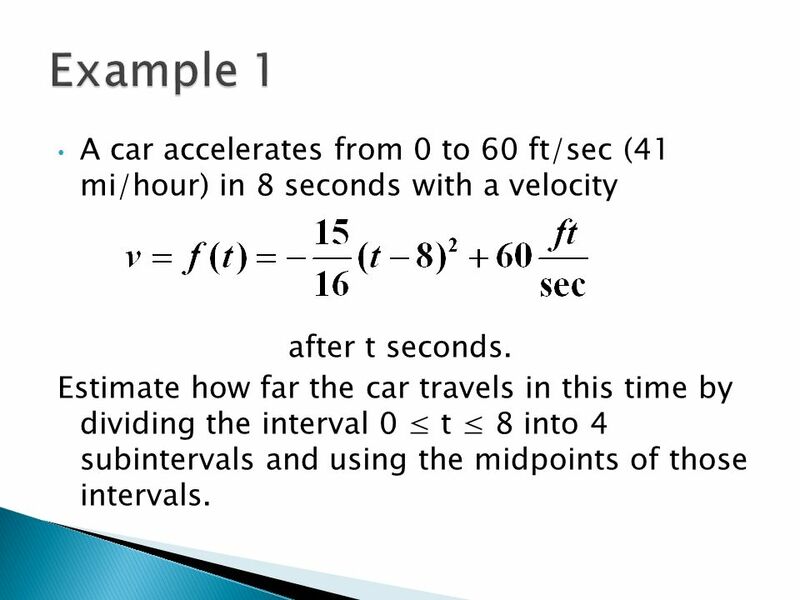 5 A car accelerates from 0 to 60 ft/sec (41 mi/hour) in 8 seconds with a velocity after t seconds. Estimate how far the car travels in this time by dividing the interval 0 t 8 into 4 subintervals and using the midpoints of those intervals. 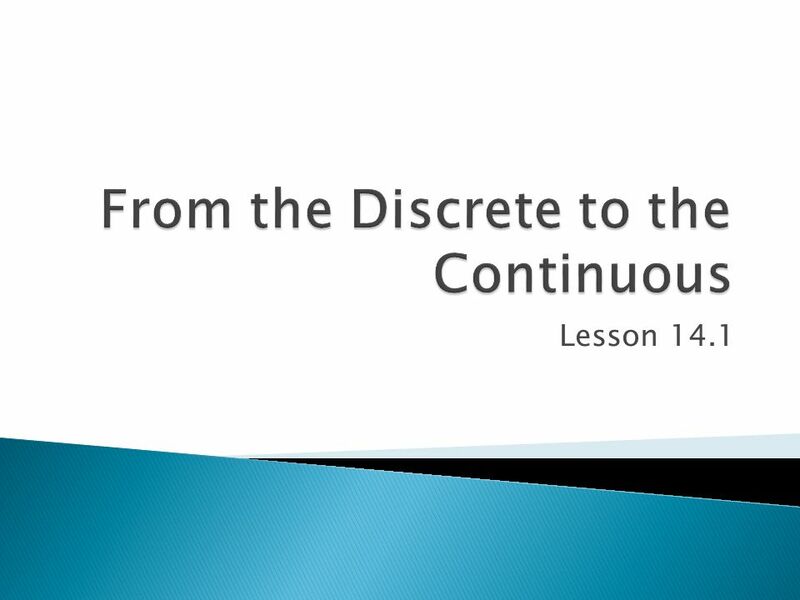 Download ppt "Lesson 14.1. 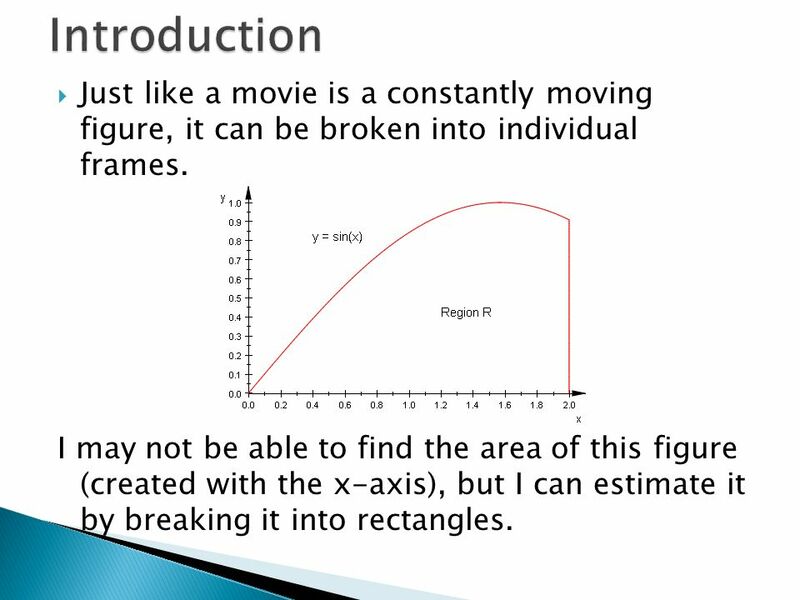 Just like a movie is a constantly moving figure, it can be broken into individual frames. I may not be able to find the area of this figure." 5.2 Definite Integrals Greg Kelly, Hanford High School, Richland, Washington. 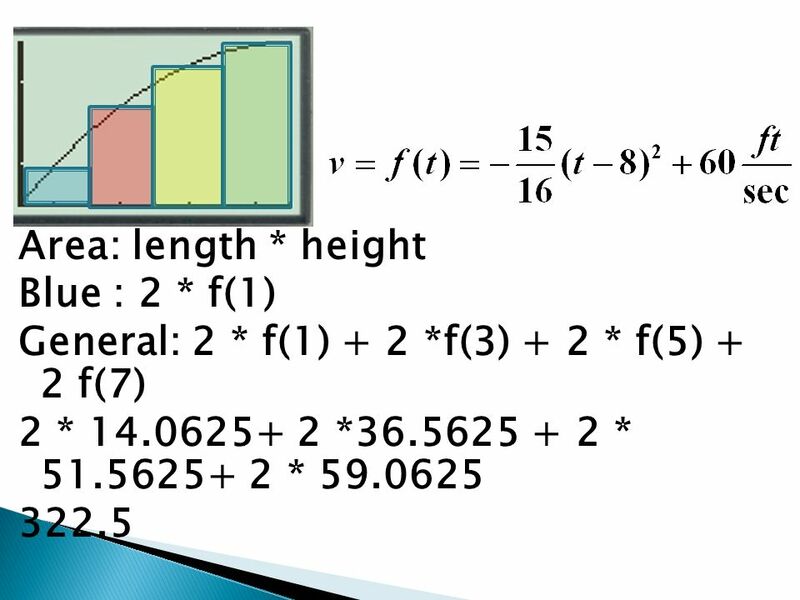 § 6.2 Areas and Riemann Sums. 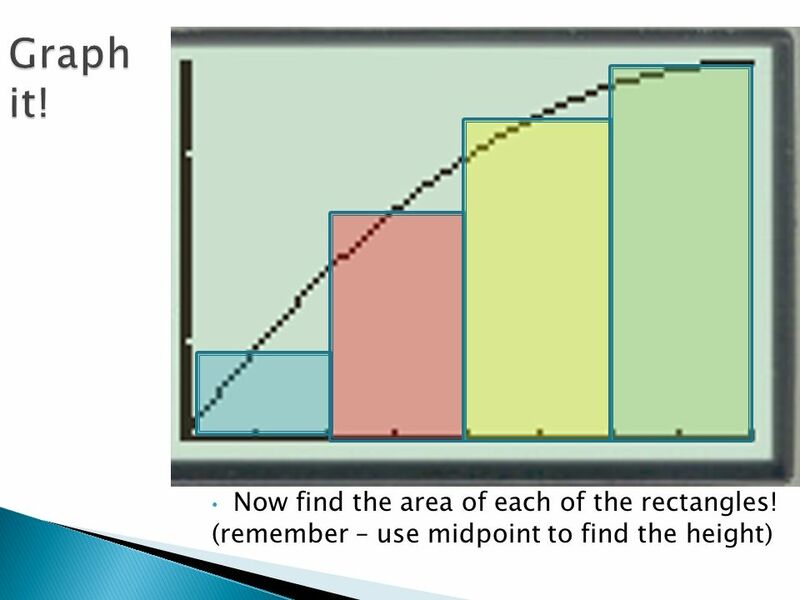 Area Under a Graph Riemann Sums to Approximate Areas (Midpoints) Riemann Sums to Approximate Areas (Left Endpoints) Applications. Section 8.5 Riemann Sums and the Definite Integral. Integral as Accumulation What information is given to us by the area underneath a curve? INTEGRALS Areas and Distances INTEGRALS In this section, we will learn that: We get the same special type of limit in trying to find the area under. Copyright © Cengage Learning. All rights reserved. 5 Integrals. Probability Distributions Continuous Random Variables. Section 2.4 Graphs of Motion. Why Use Graphs? 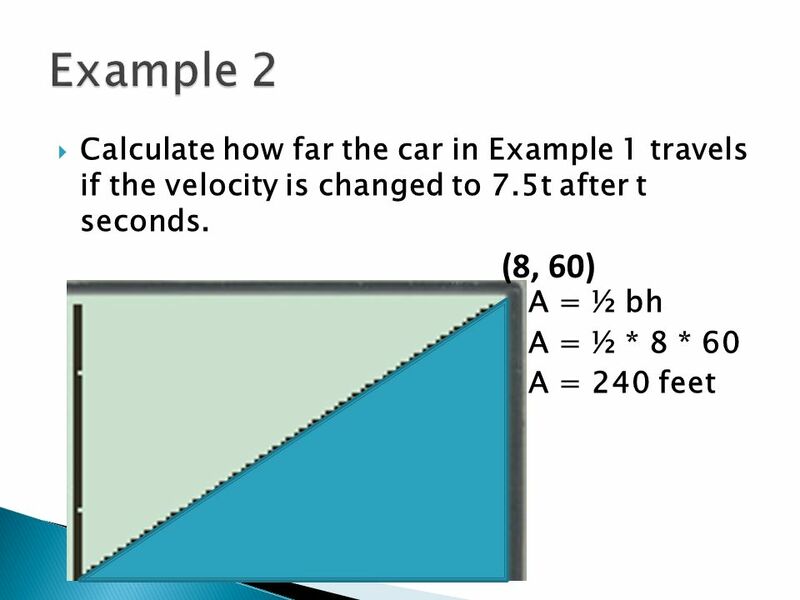 Show relationships between distance, velocity, acceleration, and time Visual and clear way of representing.